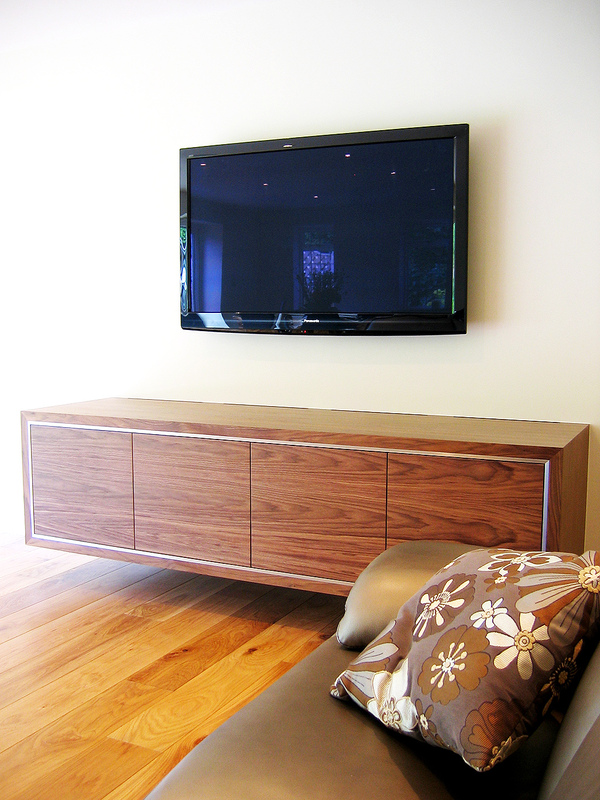 Designed and built to our client’s specification. 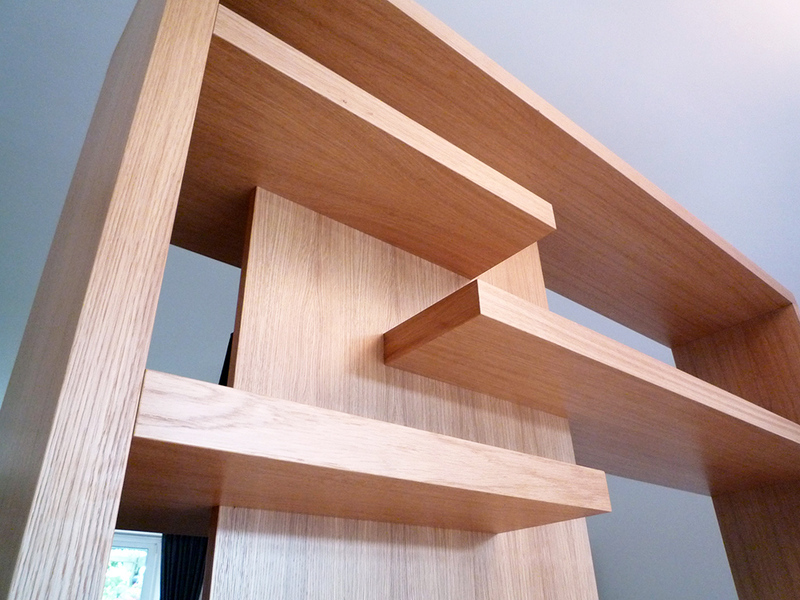 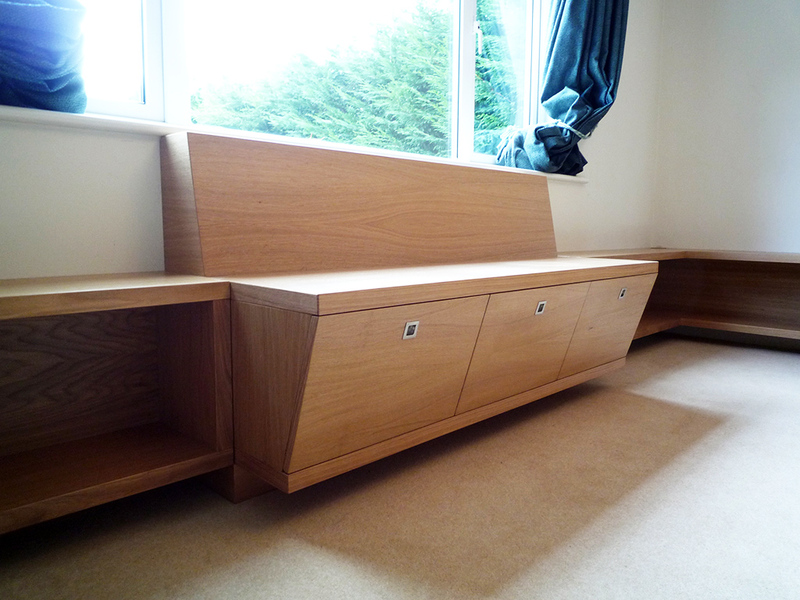 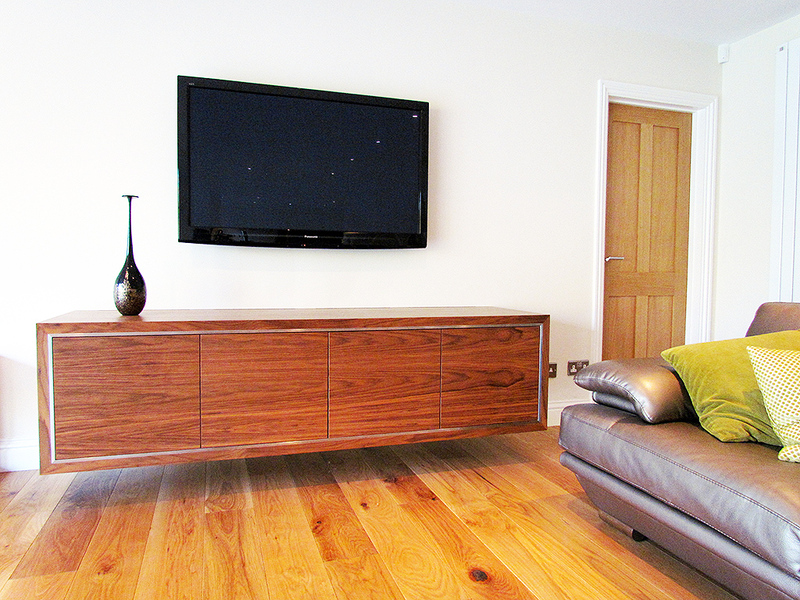 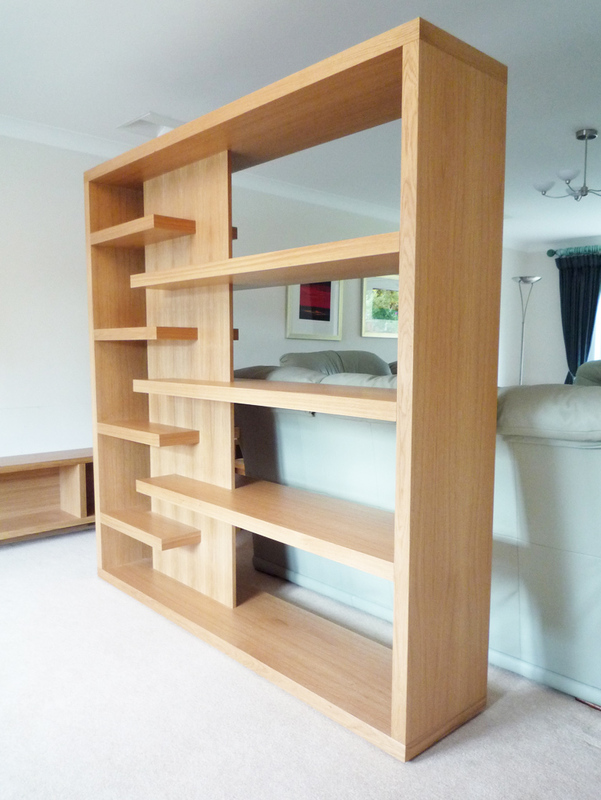 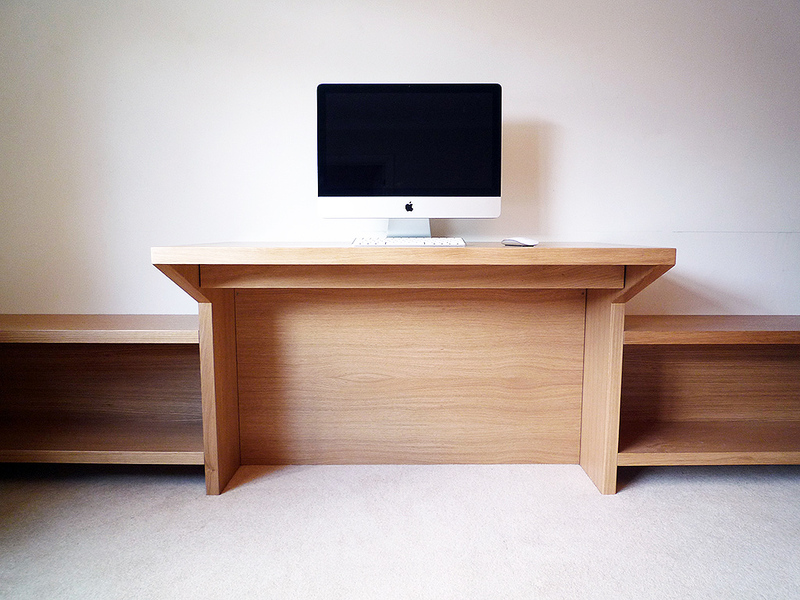 Solid Oak lounge room furniture. 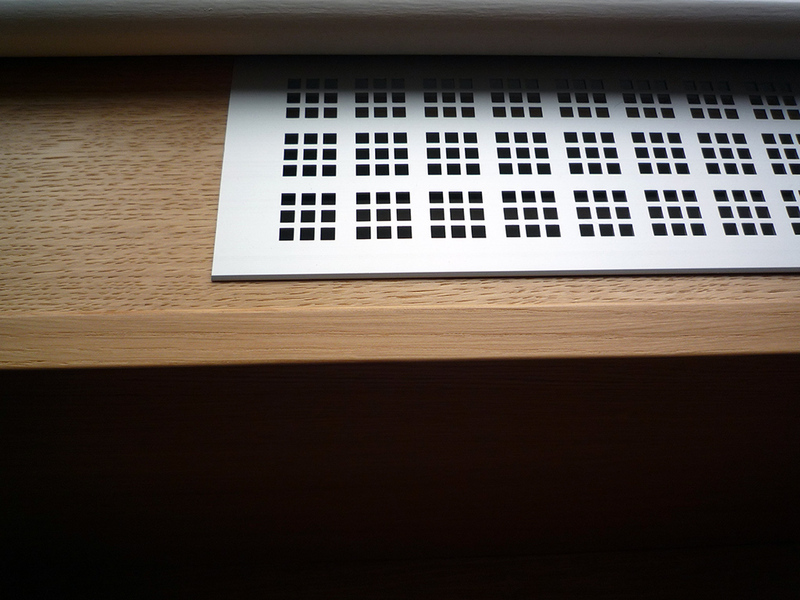 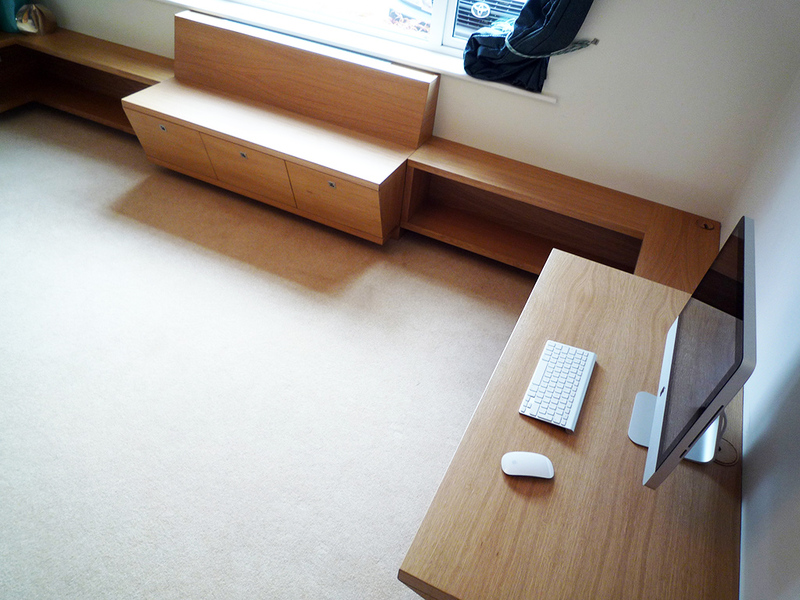 Window seat, divider, desk and shelving. 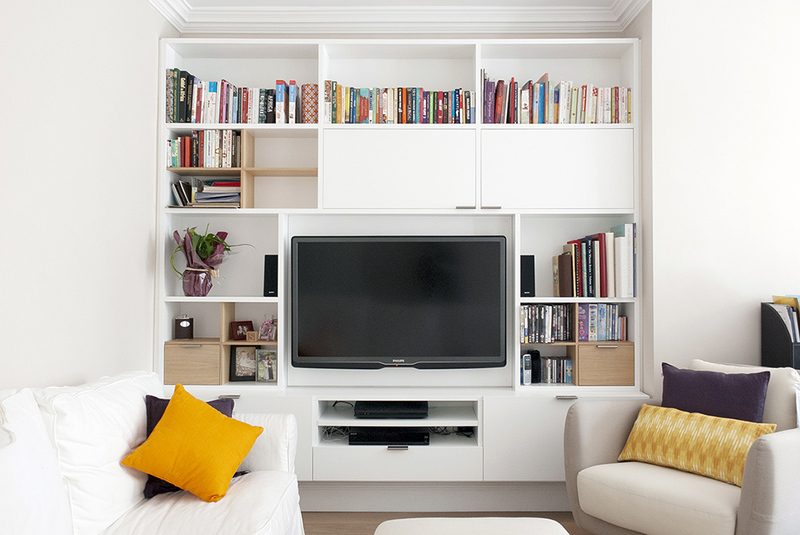 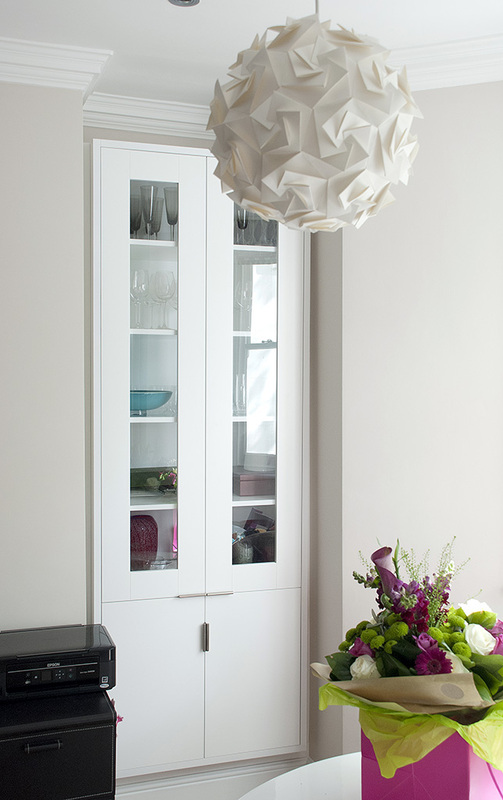 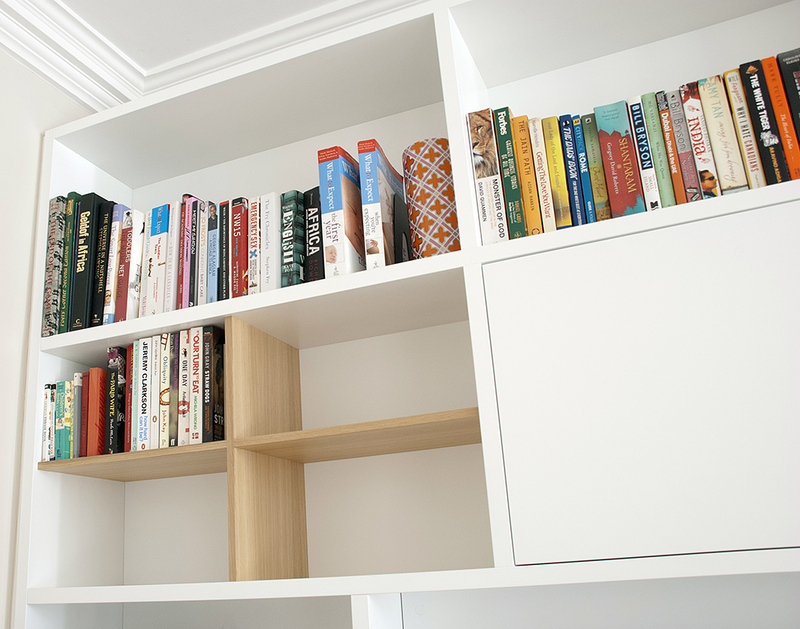 Alcove cupboard with wall colour surround and plaster coving to match the room. 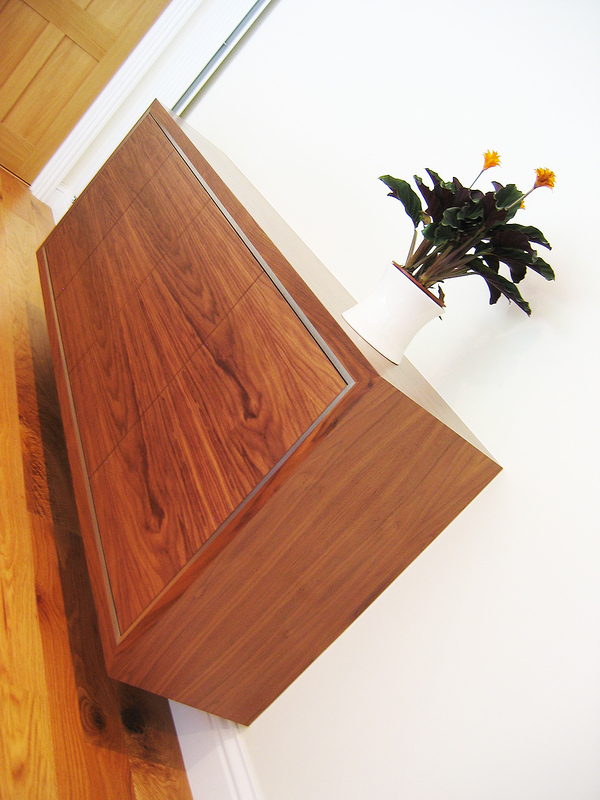 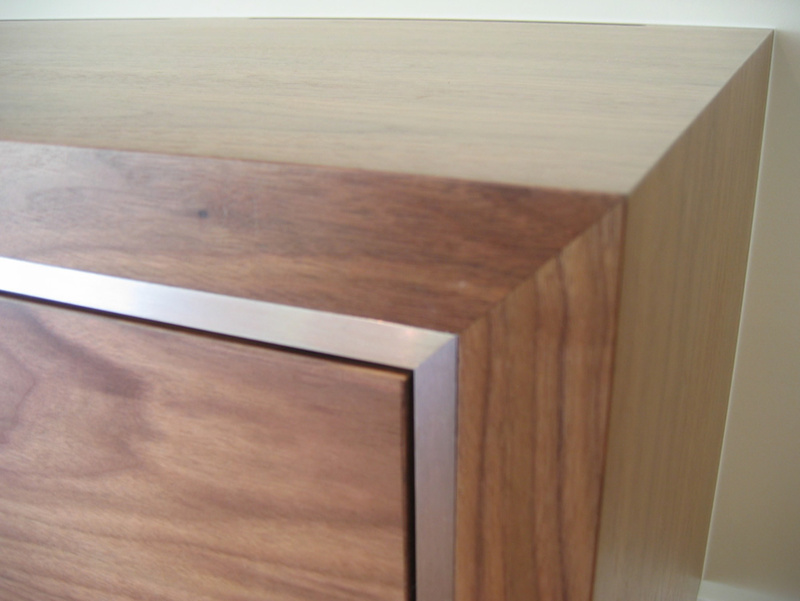 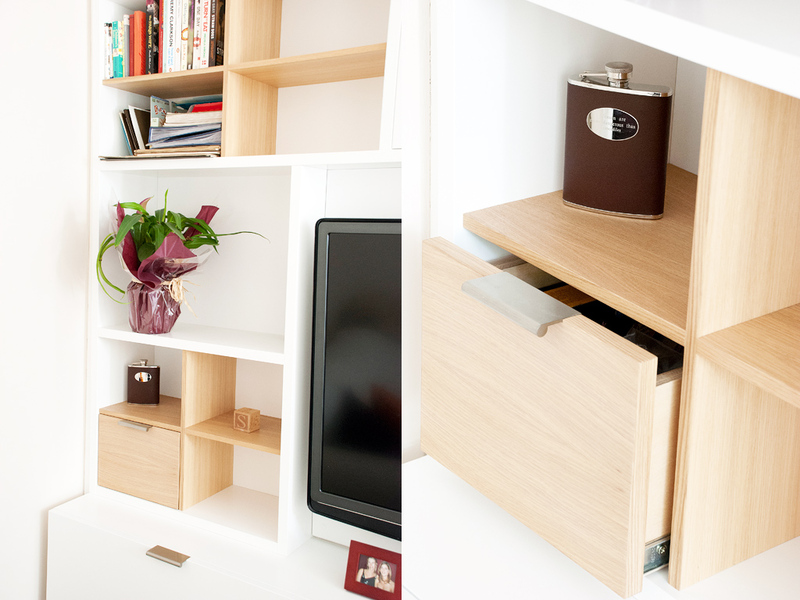 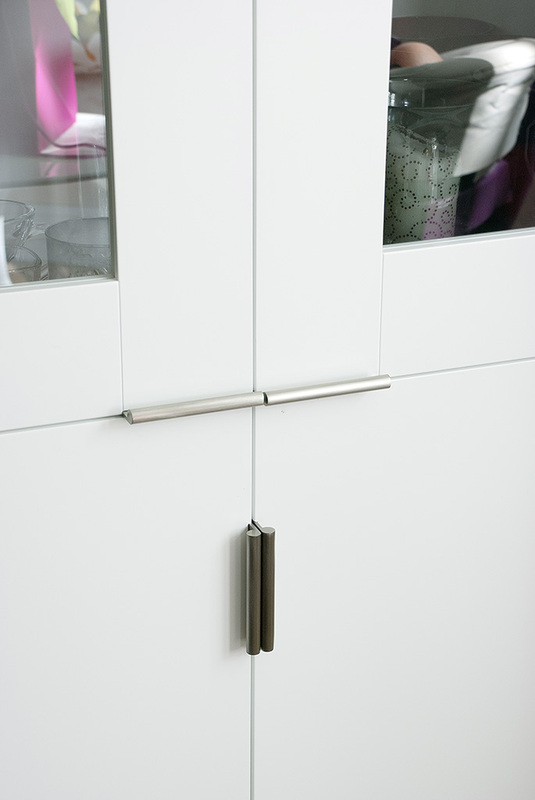 Wall hung cabinet and side board with horizontal grain and stainless steel detail.